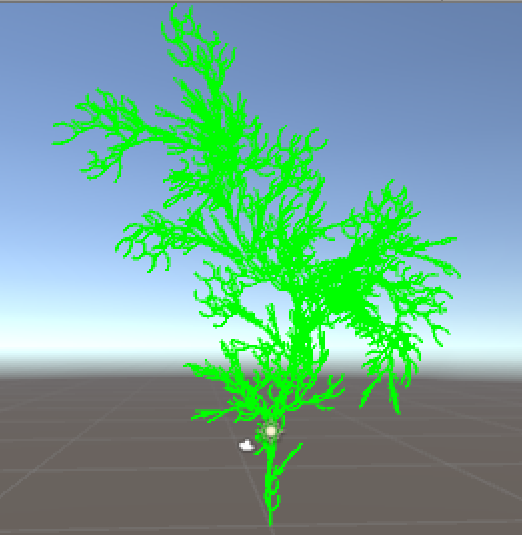 This generator creates l-system trees in the scene view of the unity project. These trees/plants are 3D and are created using Gizmos to draw lines in the scene. Each click on the game section will redraw the tree using new rotations angles to create new shapes.